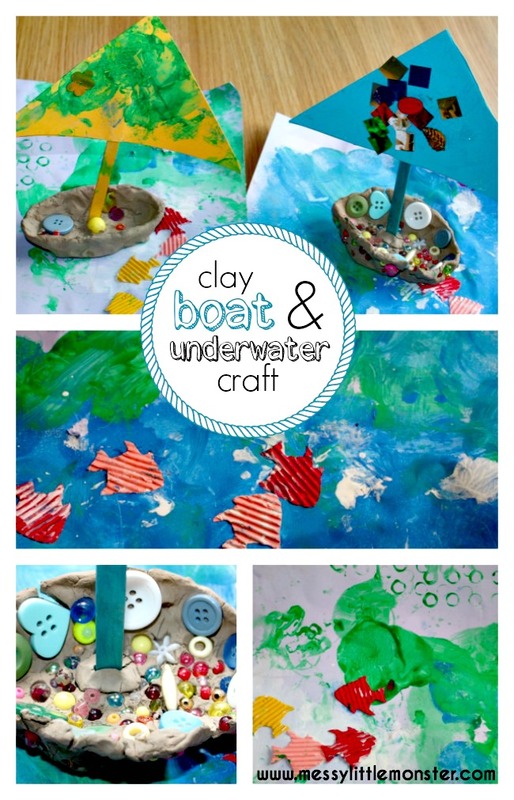 Children of all ages will love this simple clay boat and underwater craft. You begin by making an underwater scene and then make a sailing boat to sail upon it. 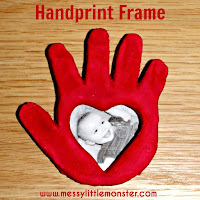 This Summer activity combines process art with clay modelling which makes it perfect for toddlers and preschoolers as well as older children. 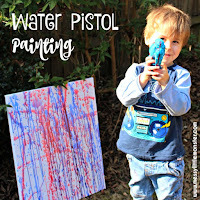 If you are looking for more Summer activities you might also like our DIY water bombs, stone fish and water pistol painting. 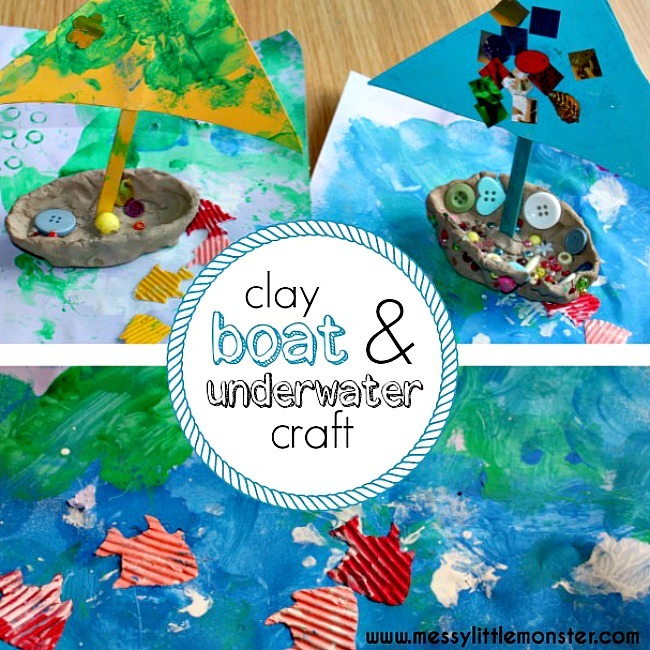 The first part of this craft involves creating an underwater scene. 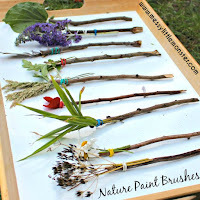 This part of the activity really is about the process and is a chance for children to experiment with painting, mixing and stamping with the green, blue and white paint. They really can't go wrong. I love the effect of the duplo bricks stamped into the green paint to make little circles and the layered effect of the white paint on top of the mixed green and blue paint. The best bit is that each underwater scene will be totally different. 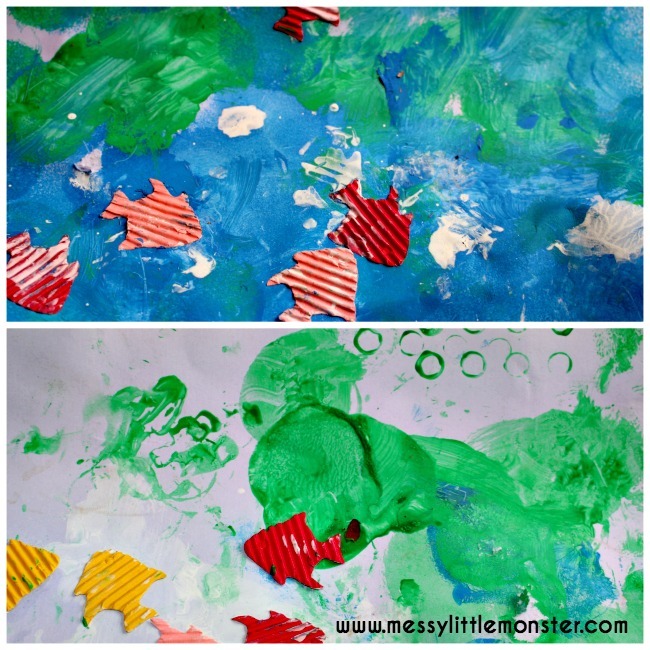 Adding fish shapes to these underwater scenes really makes them come alive! 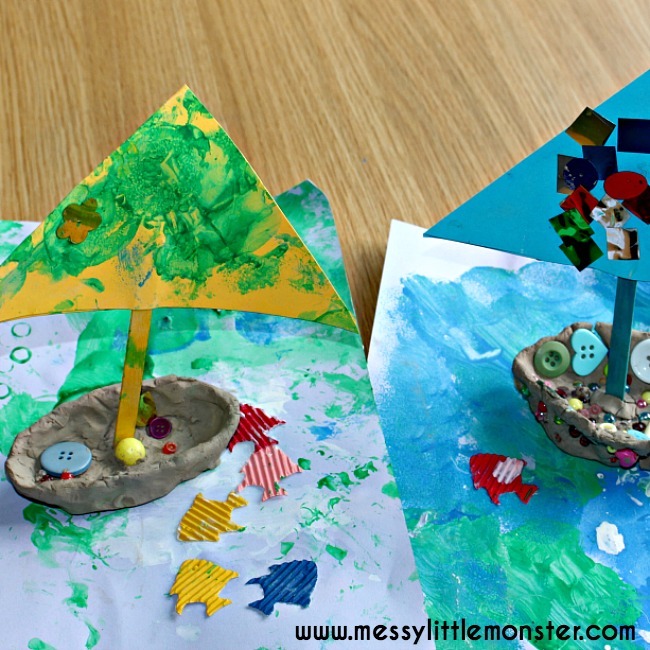 Begin making the sailing boats by decorating 2 card triangle shapes with paint or sequins. 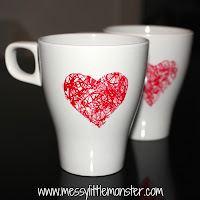 Stick the triangles either side of a craft stick using double sided sticky tape. 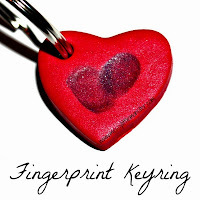 Whilst the sail is drying get a ball of clay and make a hole in the centre by pushing in your thumbs. Keep pushing the edges of the clay out until you have made a boat shape. 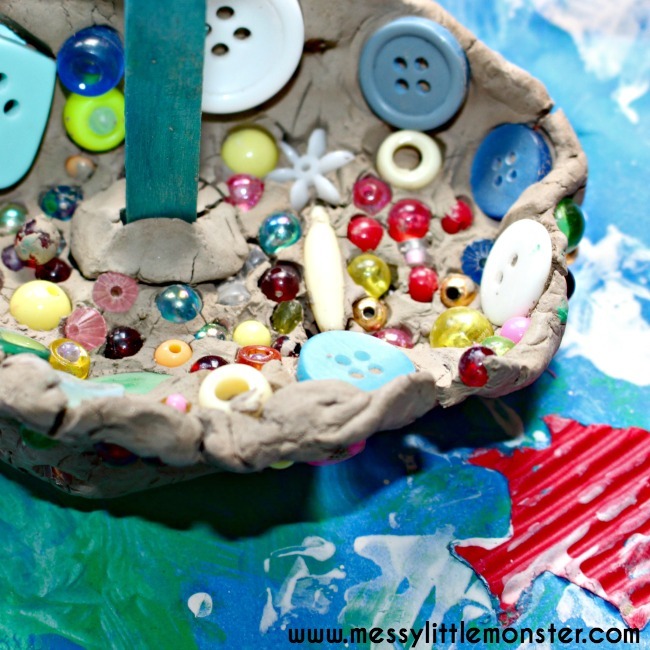 Add the sail and decorate the clay with small beads or sequins. If the base of the boat is quite thin you may need an extra bit of clay to help keep the sail in place. 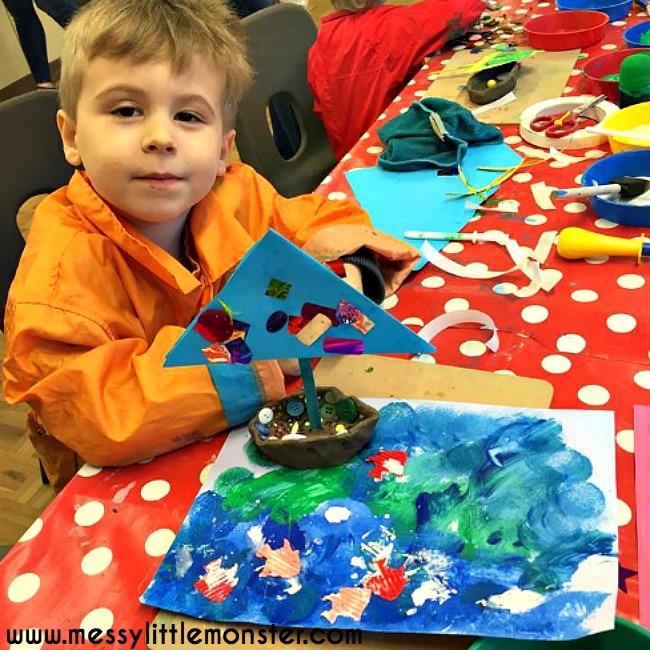 We made these fabulous boats and underwater scenes at Daisy's weekly art class 'Creation Station'. 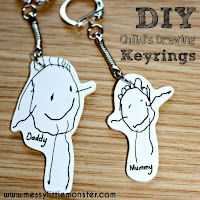 Daisy loves these art classes run by Hayley, so if you live in the Trowbridge area you must check out her facebook page. 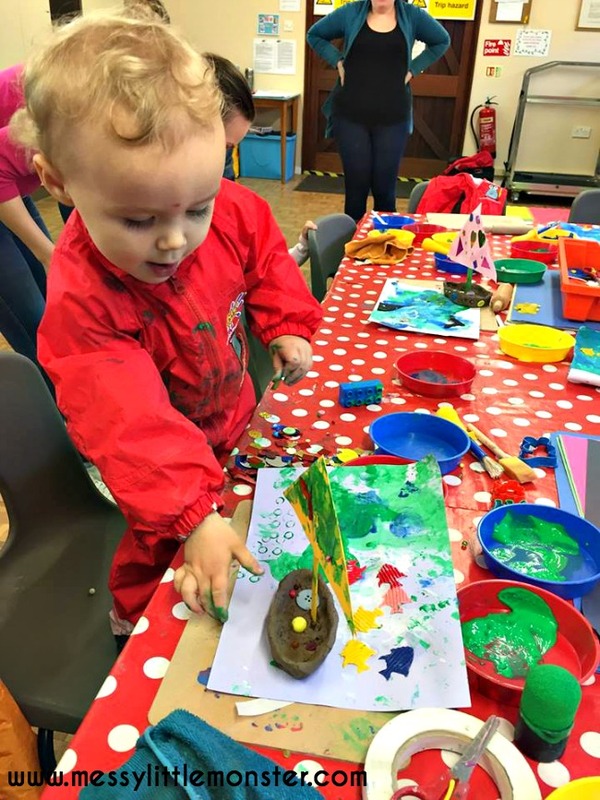 Daisy had fun adding fish to her underwater scene and exploring the effects created by the different stamps, brushes and sponges. I helped her make her boat and she seemed really pleased with herself when it was finished. I love process art and love the fact that she was able to create the underwater scene independently, but it was also nice to be able to take something home that looked recognisable too. Harry was lucky enough to come along to this art session too. He was really proud of his sailing boat, he spent ages carefully pressing beads and buttons into the clay at the bottom of his sailing boat.